The Steinbeger Spirit XT-2 is a 4-string bass featuring the same distinctive body-shape as the award-winning Steinberger XL Series and features the trademark headless neck with the patented Double-Ball tuning system. Add to that, a 3-piece hard Maple neck going completely through the body reinforced with an adjustable truss rod and the Steinbeger Spirit XT-2 is not only stable, it’s practically indestructible! Other features include the patented Steinberger fixed bass bridge with direct-pull, 40:1 ratio machine heads, two (humbucker - humbucker) Steinberger bass pickups and folding leg rest for playing comfort while sitting. And the Steinbeger Spirit XT-2 is perhaps the world's most "travel-friendly" and convenient bass ever made. It comes complete with a gigbag and, being only 38.5" in length, it can fit in places where other basses can't! 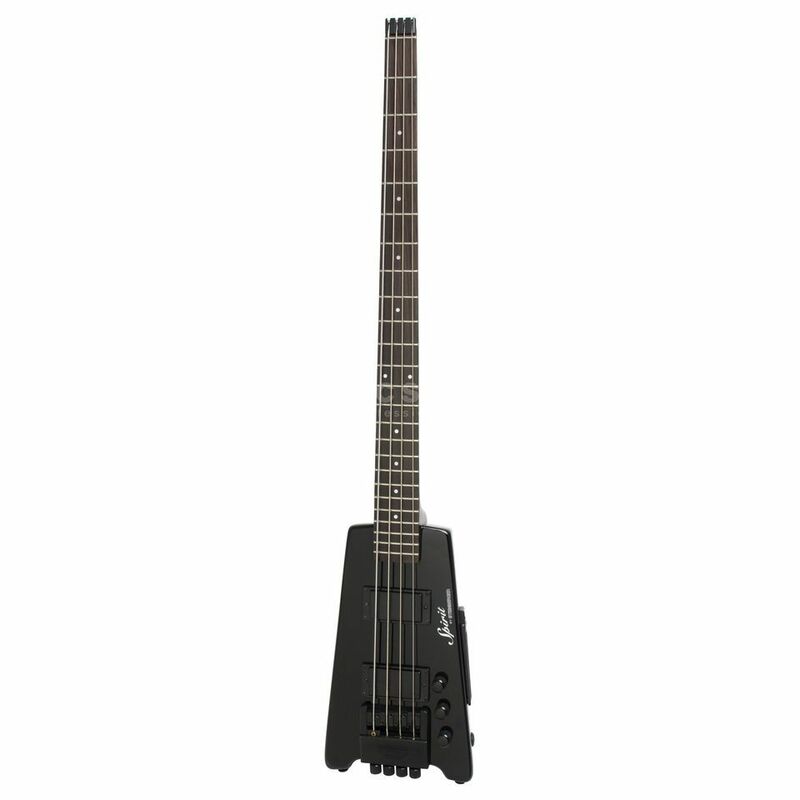 If you’re on a budget but still need and want an instrument with Steinberger features and performance, the Spirit XT bass is perfect for you. Steinberger – State of the Instrument.